Pricing takes one of the main positions in stimulating customers to make a purchase. Our plugin not only allows users of the page to study and compare different price options quickly. It also helps uplifting conversion by using the latest trends in design and templates. 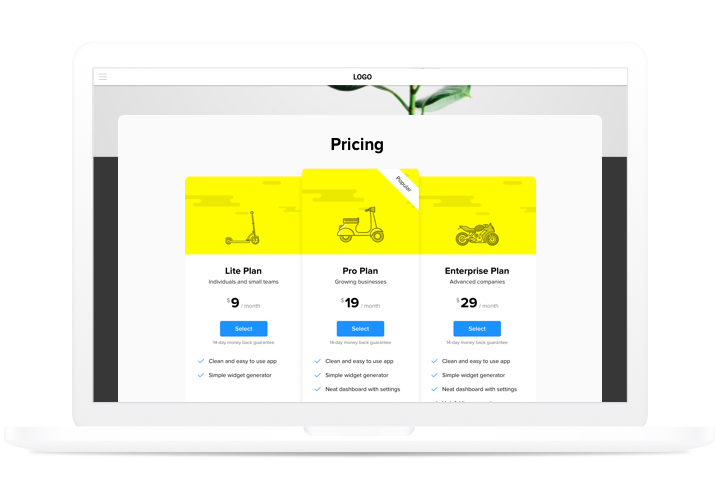 Take sales of your site to a new height, using smart pricing. Use more effective trends in price demonstration, to exclude any doubts your visitors may have while making a decision to buy, and get the higher conversion. Creating plugin in only 2 minutes. Spend a couple of minutes, to construct a perfect plugin. Add the needed parameters of template and paste your information to display it in just a couple of steps. 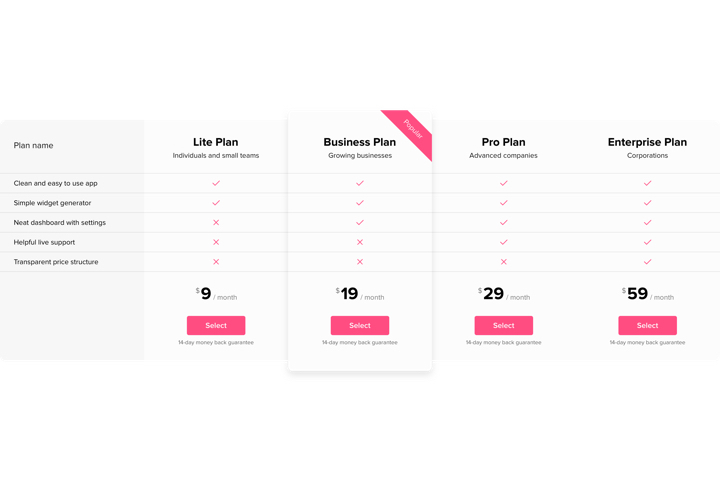 Show more info about your pricing plans. 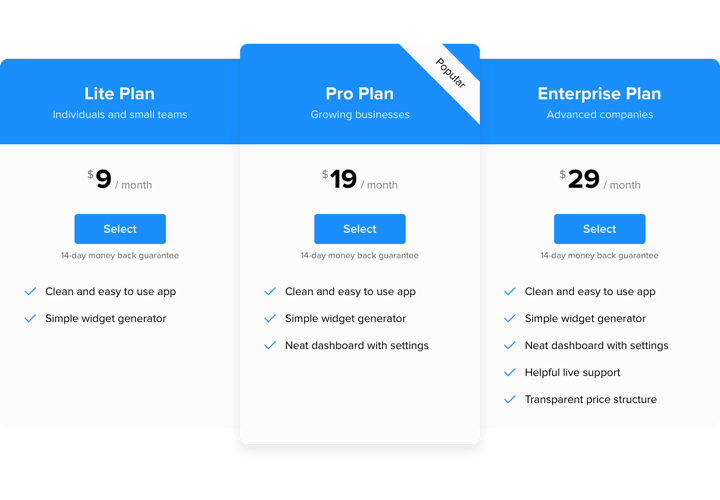 Provide full description of each of your pricing plans and add them into your personal plugin, so that customers could easily see and compare the available tariffs. 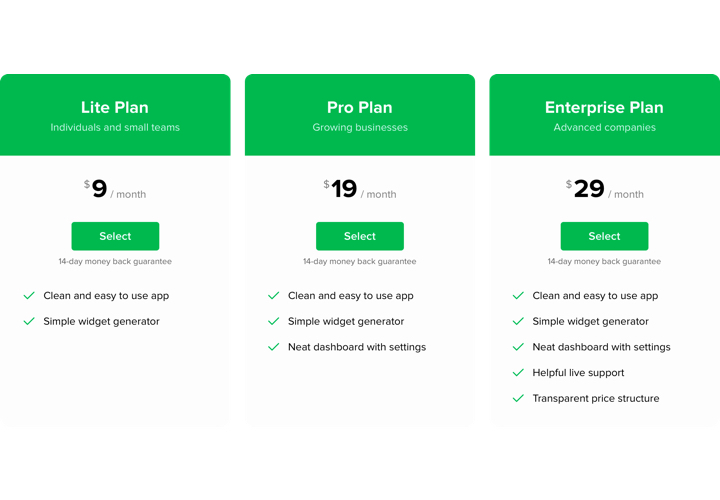 The benefits that make our plugin the best Pricing Table for Drupal websites. A tutorial on installation of Elfsight plugin. To fulfill it, you may not have experience in programming or a lot of time. Just several easy steps and 1 minute. Obtain the module and install it to the site. On Pricing Table page, choose file with the module and install it to your Drupal site on «Extend» tab. Go to the embedded module and choose the needed settings and functions. Reveal the module on your site. On «Content» tab, go to the page for installing the widget and paste the widget code there. Save the results. 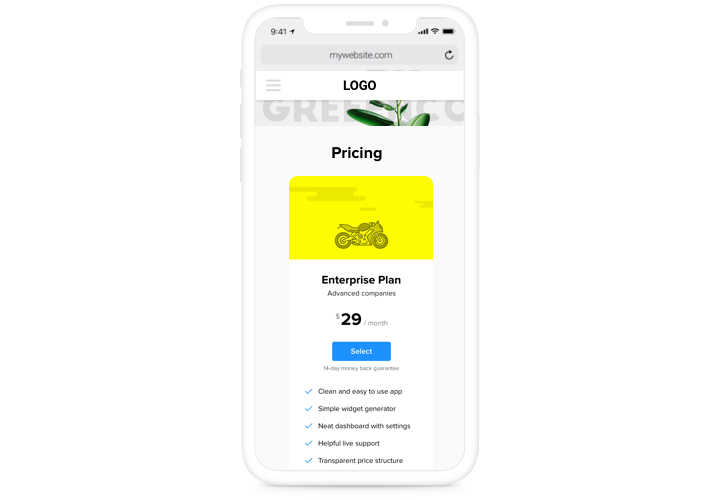 Enter your website, to see your pricing! Having queries with installation of the plugin? Study our thorough manual «How to add pricing table into a Drupal» or get in touch with at our help center, which will solve any kinds your troubles quickly. 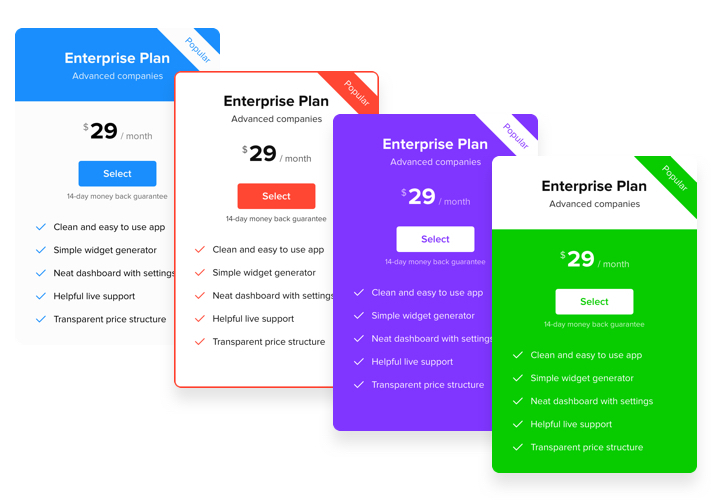 Construct the best Drupal Pricing Table module in just 70 seconds!